The 2005Supercheap Auto Bathurst 1000 is remembered for many things, whether it be thelate-race stoush between Marcos Ambrose and Greg Murphy, the ‘balaclava’debacle involving Ambrose and co-driver Warren Luff or Craig Lowndes ending upwith an errant wheel flying into his windscreen. 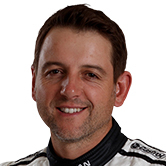 But keen V8Supercar fans will also remember the #2 Holden Racing Team Commodore VZ drivento victory by Mark Skaife and Todd Kelly after a late race challenge from theDodo/Tasman car of the late Jason Richards and Jamie Whincup. And the V8 Sleuthis very proud to exclusively report that the winning car – HRT chassis 050 –has been secured by Dunlop Series team owner Ben Eggleston and his associates. Eggleston’spassion for HRT and Walkinshaw cars dates back to his days as a young ladmaking the trip from Orange to Bathurst to watch his V8 Supercar heroes race. After four yearsin storage on the other side of the country, the car will be restored to itsBathurst-winning livery and specification with many original parts over theupcoming months. HRT chassis 050debuted at Symmons Plains in late 2004 as a VY Commodore driven by Mark Skaife,who then also ran it at the final round at Eastern Creek. 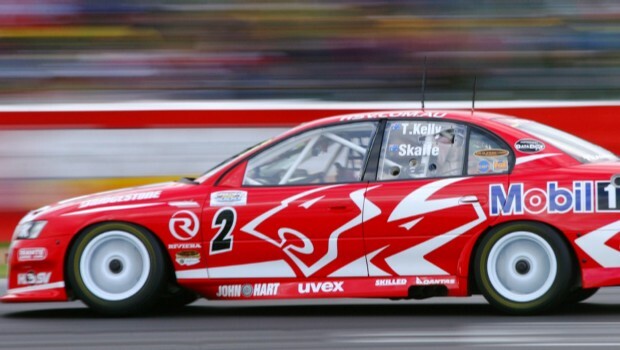 In 2005 it wasupdated to VZ specification and became Skaife’s #2 car for the entire season,including victory at Bathurst with Kelly (on the Mildura driver’s 26th birthday,no less) and a second place in the Sandown 500. It started 2006as the #22 car of Todd Kelly before a new chassis was completed for Kelly intime for Queensland Raceway and this HRT 050 car became a spare. Jim Richards andRyan Briscoe drove it in the endurance races at Sandown and Bathurst (withBriscoe stunning all by topping qualifying at the former and Richards crashingout at the latter – his last-ever Bathurst 1000 start) before it was repairedand used by Kelly to win on the Gold Coast overall and then claim a race win inthe inaugural round in Bahrain. It was also thesame car Kelly was driving when innocently involved in thechampionship-deciding contact between brother Rick and Craig Lowndes at theseason finale at Phillip Island. From there it wassold to NRW Holdings in Western Australia, who were sponsors of Mark McNally inthe Fujitsu Series and this car was intended to be used as a ride car based inPerth, though it was wheeled back into action for a few rounds late in the 2008DVS. It was involvedin a crash in the opening round of the 2009 DVS at Adelaide and had its lastrace appearance at Winton that year – in fact the Winton track map is still inthe centre of the steering wheel! From there it hasremained in storage in Western Australia and became a pet project for Egglestonto secure over the last few years. He finallyconvinced owner John Silverthorne from NRW to sell the car a few weeks ago onthe condition it was to be lovingly restored – a project Eggleston will embarkon very soon. “This startedback in 2008 and I went to Perth in 2009 and saw the car and then just keptworking towards it the whole way and got in a position where we could find andsecure it,” Eggleston told the V8 Sleuth this week. “It was verysatisfying. To chase something for so many years and finally have it sitting inmy workshop is pretty cool. And something of this stature, there’s just notthat many left. “The car was in acontainer in a Perth, we checked all of the bits and pieces, had the transportready to go, put it on the train and sent it back to Melbourne. Eggleston hasalready secured from Walkinshaw Racing the same Holden Motorsport V8 enginethat powered the car to victory at Bathurst in 2005, as well as a range ofother parts that are original to it. The car itself isamazingly original with a range of things that instantly give away exactlywhich car it is to those who know their ex-HRT Commodores well. “It’s got a redengine bay and this car was one of only two to have it,” says Eggleston, whothis week gave the V8 Sleuth exclusive access to look over the car. “There’s plentyof red paint on the panels, all the uprights and shocks still have HRT numberson them. You can see bits of red under the parcel shelf (where it used to bered) and underneath the car is fully original. “The next step isto set up time lapse cameras that will follow the project the entire way. Thenwe will strip it down then send it off to get bead-blasted and then give GeorgeSmith (ex-Dencar, who built the HRT chassis at the time) a look over it to makesure it’s square and then it will go back to HRT to get painted (where it waspainted originally). “Then it willcome back to the factory and get fully assembled as it was. All the parts willbe serviced while it’s away and we’ve secured pretty much all the componentryto make it original, so there’s only a few more things to get. Rather than leavethe car as a display piece, Eggleston and his partners plan to have HRT 050active for various events and activities – and even create an exclusiveopportunity to go for a hot lap in it. “We want everyoneto be able to enjoy it. It’s an important part of HRT’s history and that of Australianmotorsport. Not only for the Bathurst win with Skaife and Kelly, but also thefact it was Jim Richards’ last Bathurst 1000 car and was also run by Toddfull-time and Ryan Briscoe, who did great things in it too. Eggleston alsosees this as just the start of his involvement in an emerging element of the V8Supercar industry – car restoration. “This is just thestart of it,” he says. “I have a massivelove for it. John Silverthorne was good enough to let this car go. He knew inour talks that one of the conditions of sale was that it was going to bebrought back to its former glory. We can’t wait tosee it finished either – we’ll bring you some updates during the year on howthe restoration of the 2005 Bathurst winner is going here on SaturdaySleuthing. Have a car you’dlike the V8 Sleuth to chase down? Then drop him a line and see if you can setthe Sleuth a new mission.